How Much is An Olympic Medal Really Worth? Every two years, people around the world gather around their televisions for two solid weeks of competition, feats of athletic skill, and displays of sportsmanship. The Olympics first began in Ancient Greece in 776 BC on the plains of Olympia and were dedicated to the Greek Gods of Olympus. Though the games were organized as feats of human skill and strength, they were directly tied to the religious festivals of the cult of Zeus. The first edition of the modern Summer Games was held in 1896 in Athens, Greece, and the first Olympic Winter Games in 1924 in Chamonix, France. The Ancient Games were a symbol of peace, and an Olympic Truce was called to halt all conflict during the Games allowing athletes to travel safely to and from the competition. The spirit of this model continues today with the games being a moment for athletes and nations to put conflict and grudges aside for the spirit of sportsmanship. At the first games in 1896, athletes came from fourteen different countries. Today, there are 205 nations projected to attend the 2016 Rio Summer Games. Becoming an Olympian is not without significant cost, as CBS News investigated. Athletes train their whole lives for a chance to win an Olympic gold medal. Their families (and countries) invest countless sums in training regimens, fitness and diet, equipment, doctors, coaches, and travel to training facilities to help them reach peak physical condition and become Olympic contenders. To achieve their goals, athletes not only invest monetary sums in their training, but often forsake normal childhoods, traditional schooling, and many other things other people take for granted to spend every waking moment preparing their bodies for their goal. If athletes do become gold medalists, they have a chance to recoup these costs with sponsorships, media attention, the thrill of victory, and the emotional rewards of Olympic glory. 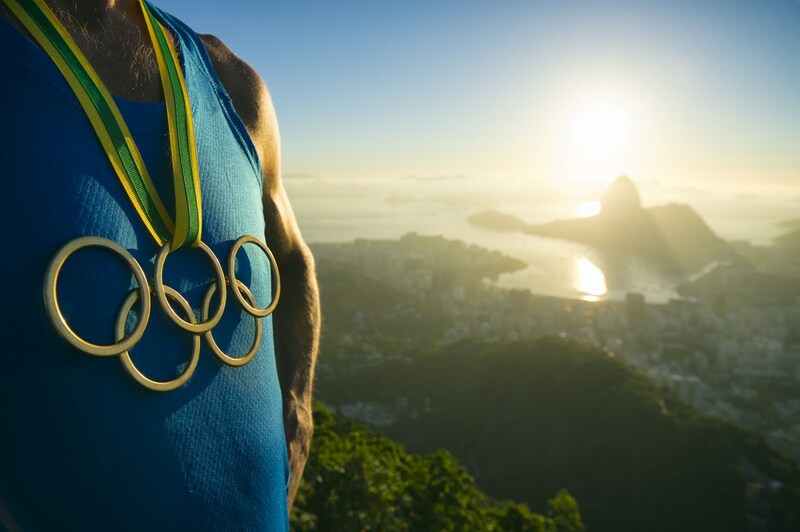 The toll of training to become an Olympian may be intangible to a casual observer, but for those who achieve the dream of climbing to the top of that medal podium, the rewards they reap are priceless. Or are they? Athletes, particularly in wealthier nations, receive a monetary reward from their country of origin in varying amounts depending on whether they win gold, silver, or bronze. In the U.S., in particular, Olympic champions also have the opportunity to make significant profits from sponsorship deals and advertising campaigns. Although some of these financial rewards, including the value of the medal itself, might be slightly diminished by taxes, consider Michael Phelps’ ubiquity in advertising during the 2012 games (as well as his Wheaties sponsorship and more) or Gabby Douglas’ string of commercials, including a deal with McDonald’s, following her Gold Medal in the Women’s Gymnastics Individual All-Around in London. How much is an Olympic medal actually worth? And how have they changed through history?